A common question people often ask is “Should I have dental crowns or dental veneers?”, so , let’s take a walk through your options and discover which is best! We will start by taking a look at what each of these restorative options are. Dental veneers are an extremely thin covering, generally made from high-strength dental great porcelain, they usually only cover the viewable front surface and tip of your tooth. They literally veneer teeth! cover (something) with a decorative layer. 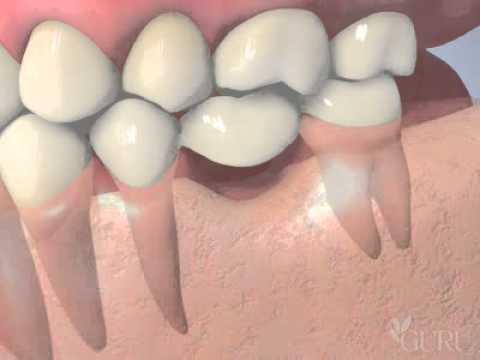 Dental crowns can be equally as thin as dental veneers (sometimes 0.5 mm) but they cover the full circumference of your tooth, rather than just the outer viewable surface of your tooth. Dental veneers can be extremely versatile, lower cost, highly aesthetic and beautiful, transform the look of your smile but they can sometimes be more fragile and likely to fracture. Dental crowns can also be extremely versatile, highly aesthetic and beautiful and transform your smile whilst also being more durable but because they cover the full circumference of your tooth they can the more destructive to your natural underlying tooth structure, they may also cost a little more than veneers. Gold. This was once the preferred option as gold is such a nice metal for technicians to work with and is relatively inert. It is however rarely used today. Porcelain fused to metal. This is where a metal casting is made to fit directly over the prepared tooth, on top of this metal casting porcelain is fused which is the part you see. These are sometimes used today but are becoming less often. All porcelain. With the advent of high-strength porcelain these are now becoming more prescribed than ever, zirconia is the preferred choice of material as it is naturally occurring, extremely strong and translucent like natural teeth. All porcelain, similar to dental crowns. Composite resin. This type of veneer is often called an ‘immediate veneer‘ or ‘instant veneer‘ this is where the resin is applied directly to your tooth by the dentist in the chair and cured with a high-strength light. Dental crowns have an average life expectancy between 5 and 15 years. There are instances however when dental crowns have last considerably longer than this, up to a lifetime! It is worth noting however that it is not usually the crown which files, it is normally the tooth underneath which requires treatment necessitating removal and remaking of the crown. On average dental veneers last approximately 10 years. They are however far more susceptible to damage and fracture than dental crowns. The most common reason for replacing a dental veneer is a dark line appearing around the gum margin as the gums recede as we get older, this then means that the underlying tooth shows through which can then be darker. As you can see, it’s not a straight decision about which to have, dental veneers or crowns… It’s more about taking a clinical view over which type of restoration is best for you, you may find that a combination of crowns and veneers are used on different teeth to restore your smile. We hope with this has given you a good insight into the type of restoration you would like, dental veneers or crowns? Do you have any further questions? Please feel free to ask them in the Ask Dr Dermott section of this website. This is a question that is asked by many people so we thought it would be a good idea to take a little bit of time to address this issue. Dentistry can often feel like it costs a great deal of money and there is a general consensus of opinion that healthcare, including dentistry should be free in the UK on the NHS. In this blog post we go through some of the reasons why dentistry can seem expensive and perhaps how you can keep costs low. One of the ways that you can lower the cost of dentistry is by enrolling on a membership plan at your dental practice. These membership plans often include all of your dental health appointments (including routine dental health checks and hygiene visits) as well as a good percentage discount on any other treatment required. You can find out more about our practice membership plans here. Let’s continue with the theme of this blog post and look at some of the reasons that UK dentistry can seem quite expensive. In the UK the Care Quality Commission (CQC) regularly inspect all dental practices, they are checking for cross infection control procedures as well as policies which keep you safe. Dental practices must also adhere to cross infection control policies such as Decontamination in primary care dental practices (HTM 01-05). Complying to this heavy regulation is absolutely the right thing to do and keeps you as a patient safe and protected however, many of the requirements can end up costing a dental practice money by way of investment in equipment, training and often separate sterilisation rooms. One of the ways that a dental practice could reduce their costs with dental implants, bridges, veneers and dentures is to use a cheap dental laboratory. 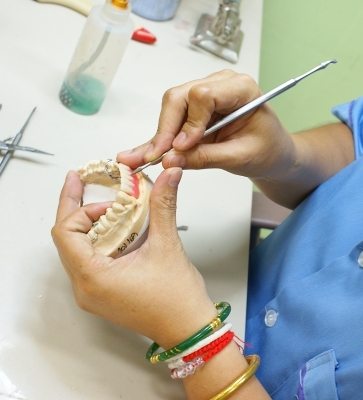 Your dental practice could send your new teeth to be made overseas in somewhere like China or India. The problem with this is a loss of control of quality, who is making your new implant or crown? Exactly what materials are used? And what action could you take if there is any problem? For this reason many dentists prefer to use UK laboratories which inevitably have higher costs than laboratories in India or China. Using a UK dental laboratory means we have a good level of communication with the laboratory technicians, this ensures you have the highest quality implants, veneers, crowns and bridges with a trusted level of support. It would also be a quick and simple cost-cutting measure for any dentist to use cheaper materials,, many of the dental materials that your dentist uses regularly are available on sites like Amazon or eBay. However, where do these materials come from? By using quality materials with the regulatory CE Mark you can rest assured that any material that is used in your mouth comes with the highest quality and assurance rating. In years gone by it used to be that your dentist would just look after your teeth, whilst this is still the focus of their attention modern research has shown that there are clear links between your whole body health and the state of your teeth and gums. The bacteria which are present in gingivitis and periodontitis have also been shown to be gateway bacteria in heart disease, diabetes and even things like erectile dysfunction. With these clear links your dentist gets an insight into other conditions which may affect your whole body health. It’s always been important to look after your dental hygiene but with more understanding it’s clear that dentistry should not be taken in isolation. Disinfection and Decontamination – Techniques, equipment and materials to protect you as a patient. Complaints handling – What can you do if you have cause for concern and who should you turn to? As you can see, dentists and dental practices have a heavy requirement to keep themselves updated with modern techniques, materials, research and systems in order to keep you safe and protected as well as provide you with the highest level of care. All of this comes with a cost and this unfortunately works its way through into the cost of dentistry. So what can you do to keep costs low? One of the simplest things is to ensure you look after your teeth from as young an age as possible. Regular brushing for 2 min twice per day with a fluoride containing toothbrush and then cleaning in between your teeth with an interdental brush or floss will help to keep your dental costs lower as your oral health will be better. If you would like to discuss any of the issues raised in this blog post or book an appointment for a dental health check please contact us today. Redhill Dental Clinic is a local practice in Stourbridge offering affordable dental treatments to the local people. Are Straighter Teeth Healthier Than Crooked Teeth? One of the biggest reasons people opt to have straighter teeth treatments such as orthodontics is for cosmetic purposes. But did you know that straighter teeth can also be healthier teeth? In this blog post our Stourbridge dentist, Dr Philip McDermott takes a look at the difference between crooked teeth and straight teeth and asks… Can straighter teeth be healthier teeth? Looking after your dental health. One of the most important things to do is to look after your dental health by cleaning your teeth adequately, this involves brushing and flossing twice per day for 2 min each time using a fluoride containing toothpaste. It’s important to always clean in those difficult to reach areas in between your teeth using either floss or an interdental brush. And it’s cleaning in between the teeth which can be difficult if your teeth are crooked or overlapped. The reason it’s important to clean in between your teeth is because this is where the acid excreting bacteria lurk. The bacteria excrete acid as they digest the sugar in your diet. It’s vitally important that this bacterial layer is removed twice per day otherwise it can continue to build and grow into dental plaque. If the bacteria is left long enough and dental plaque forms this keeps the acid in contact with your teeth even longer meaning the acid attack can be almost continuous. Keeping the bacteria and plaque at bay should be your number one oral health priority. Let’s look at the mechanics of cleaning in between teeth. In order to clean between your teeth you will need to use something more than a toothbrush. A toothbrush simply can’t reach these difficult areas in between so you will need to use either floss, tape or an interdental brush. It can be fiddly at the best of times to get this floss or brush in between your teeth but if your teeth are crooked it can be even more difficult. 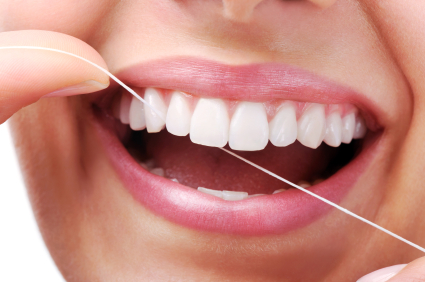 For this reason the straighter your teeth are, the easier it is to get in the floss or brushes and therefore the easier it is to keep your teeth clean. Straighter teeth really can be healthier teeth! For more information on either straighter teeth or healthier teeth please contact us today the book your appointment. Each of these options has unique advantages and disadvantages and in this blog post our Stourbridge dentist, Dr Phil McDermott takes a look at each of them. They don’t require removal of otherwise healthy tooth tissue from the teeth either side such as is required with dental bridges. 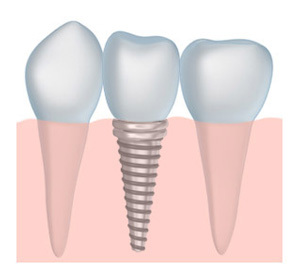 Dental implants support the bone around the site where the tooth has been lost. This means that the gingival architecture and therefore aesthetics of the extraction site remain good. The cost of dental implants. The cost of dental implants often can be higher than some other techniques for replacing missing teeth. However, when taking into account the lifetime of the dental implant and the fact that adjacent teeth are not disturbed (unlike with dental bridges) the overall lifetime cost of a dental implant works out often to be cheaper than other forms of replacing missing teeth. To replace a single tooth with a dental implant often costs around £2000, finance schemes are available which help to break this cost down into a series of monthly payments. Gone are the days where dentures look ugly and can easily be noticed. Cosmetic dentures can now be made which harmoniously blend the denture teeth into the surrounding teeth. However, dentures are inherently removable and it is for this reason that many people prefer a permanently fixed option such as a dental bridge or a dental implant. One of the things that the denture does not do is support the underlying bone like a dental implant does. When the tooth has been extracted the surrounding bone will continue to fall into the extraction site and continually change the shape of the gum in this area. A dental implant is the only truth replacement option that stops this from happening. More information on dentures is here. Dental bridges have been around now for approximately 50 years and so have a good track record of being an exceptionally good way to replace missing teeth. Dental bridges can now also be made from beautiful and aesthetic all ceramic materials which mimic teeth perfectly meaning the dental implant completely disappears in your mouth. However, dental bridges, with two distinct disadvantages. The teeth either side of the gap also need to be included. These are known as abutments and it is these abutments which will support the new false tooth in the middle. This means that to replace a single tooth a new three unit dental bridge we need to be made. This increases the cost and also means that otherwise healthy tooth structure either side of the gap has to be removed in order to accept these apartments. Any dentist will take you that it goes against their nature and training to remove healthy tooth structure. 2. 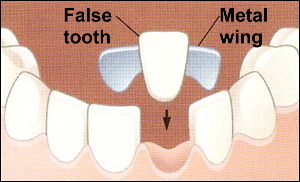 The other disadvantage of a dental bridge is that it doesn’t support the underlying bone structure like a dental implant does this mean that in time the gum underneath the new false and suspended tooth may shrink and resorb, this can result in gaps forming underneath the bridge and a poor aesthetic outcome. 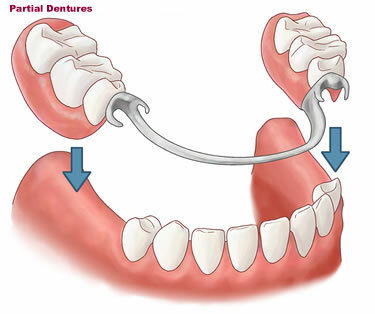 Another way to replace a missing teeth using a dental bridge is to use what is known as a Maryland bridge. Rather than completely remove all of the tooth structure from the teeth either side your dentist will create wings on the inside of the adjacent teeth which support the new false tooth. 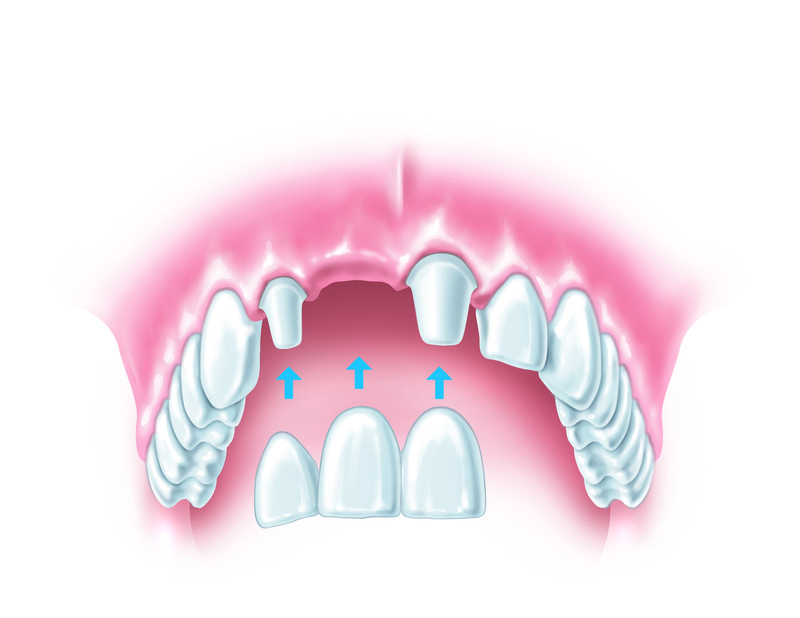 This can be much more minimally invasive approach but Maryland bridges do have a tendency to occasionally become a bonded, this means you may have to make frequent visits to the dentist to have them re-fixed. If you have missing teeth and would like to know your options whether that be a bridge, a denture or dental implant then please give our dentist a call or request an appointment online. My gums bleed sometimes, is this a problem? So many of us have seen the adverts on TV which talk about bleeding gums whilst brushing and flossing, but is it really a problem if your gums bleed? In this blog post our Stourbridge dentist takes a walk through the dental health issues related to bleeding gums whilst brushing. The most common cause of bleeding gums is gingivitis, this is the first stage of gum disease and is really simple to treat if caught early. The acid excreting bacteria which live in your mouth congregate where your cleaning is not quite so efficient, usually in between the teeth. As the bacteria congregate this plaque can irritate and infect the gums. When the gums become irritated they become swollen, tender, red and can bleed whilst brushing. Gingivitis responds well to a change in cleaning habits and a good visit to the hygienist or dentist. Cyclosporine, an immunosuppressant drug often used to prevent transplant rejection. Blood pressure medications called calcium channel blockers, which include nifedipine, verapamil, diltiazem, and amlodipine. If you are used to using a floss or interdental brush in between your teeth and forget for a few days then you might find that your gums bleed slightly when you reintroduce this interdental cleaning. 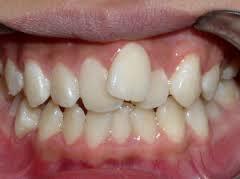 This shows how quickly the gums can become inflamed if cleaning is not consistent. If you change your technique, for example switching from flossing to interdental brushing then you may also find that the gums are slightly sensitive at the beginning. You will normally find that the gums settle down after about a week of changing your routine. We’ve use the word ‘implements’ here deliberately. All manner of household items such as credit cards and safety pins get used to clean between your teeth. We highly recommend you don’t do this, primarily because of the risk of cross infection… Who knows where those credit cards or safety pins have been! Smokers are at a much higher risk of gum disease than in non-smokers as the toxins in the cigarettes inhibit your body’s ability to fight disease and infection in your mouth. During pregnancy some women find that their gums swell and have more of a tendency to bleed, this is due to hormonal changes which alter the body’s response to the bacteria that cause gum disease. So long as a healthy oral hygiene routine is maintained during the pregnancy the gums should return to their prepregnancy state afterwards. Making sure you clean adequately in between your teeth, for 2 min twice per day to ensure that the plaque buildup is at a minimum. Being aware of the medication you are on (but never stopping without the advice of your doctor). Addressing your cleaning technique/routine and ensuring that you clean regularly. Using only dental floss or interdental brushes to clean in between your teeth, never be tempted to use a pin, for example! Maintaining a healthy diet. A healthy diet plays an important part in enabling your body to fight infection and disease. A high sugar diet will also increase the amount of bacteria in your mouth which increases the likelihood of dental disease and bleeding. Visit your dentist regularly. Your dentist is able to detect the early signs of gum disease much better than you are at home. If your dentist spots the early warning signs then you can be referred to hygienist for more intensive cleaning and assistance. The quick answer to this is yes. For example, a kiss can exchange up to 80,000,000 bacteria, some good and some harmful. If your own immune system is suppressed for any reason then the concentration of bad bacteria may just tip the balance over the edge in your mouth, leading to gum disease. It’s important to note however that gum disease is not infectious, in the same way as many other diseases are. it’s much more complex than that. The same is true for sharing drinks or utensils such as straws or forks. Always maintain a healthy cleaning routine to ensure that the bad bacteria stays well away from your mouth! Whilst this is rare in the United Kingdom, vitamin C deficiency, otherwise known as scurvy can cause gums to bleed. My gums bleed when I’m at the dentist, why is this? When you visit your dentist they will usually probe around all surfaces of the tooth. This is to check the space between your gum and tooth, they will be looking for the depth that the probe can go and scoring this. If this is monitored between dental appointments then the score can be monitored to see whether it goes up or down, this is then a good indicator as to whether your oral health is improving or getting worse. 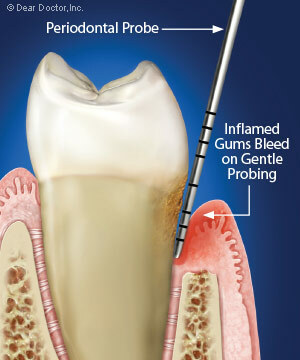 During this probing process, if your gums are inflamed then bleeding may occur. You may find that your gums bleed during this probing when they don’t normally during brushing, this is another reason why you should visit your dentist regularly to ensure that your gums are not inflamed. 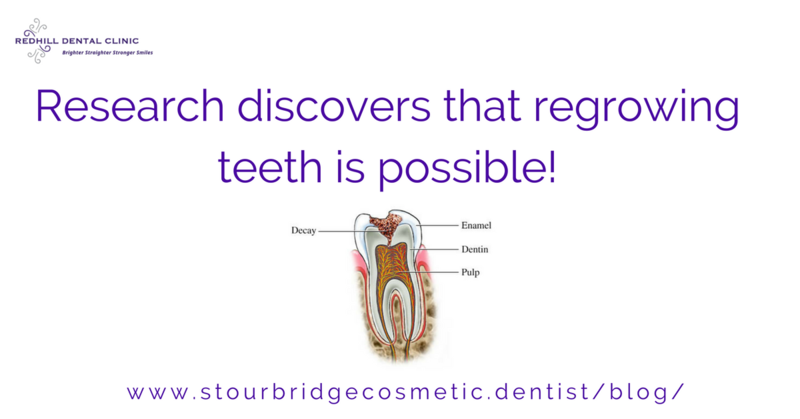 If you are concerned about any of the issues raised in this blog post please contact your Stourbridge dentist to make an appointment. Research discovers that regrowing teeth is possible! Are you one of the many people that would really rather not go to the dentist to have dental fillings? Well if dental cavities aren’t you, a new scientific breakthrough by King’s College London may be just what you were looking for. The researchers have found that The Alzheimer’s treatment drug Tideglusib can enhance your tooth’s ability to rebuild naturally the dentine which is lost when acids dissolve the tooth structure causing cavities. “The simplicity of our approach makes it ideal as a clinical dental product for the natural treatment of large cavities, by providing both pulp protection and restoring dentine. So what happens when the tooth has decay and how could this new drug help? Should the bacteria in your mouth buildup then the amount of acid which attacks teeth after eating will also build up as it is excreted by this bacteria as they digest sugar. Once the acid has removed the hard outer layer of the tooth (enamel) it will then begin to remove the softer inner surface of your tooth (dentine). However, your tooth will naturally fight this process. Underneath the dentine are the nerves and blood supply to the tooth (pulp), your tooth will naturally create a layer of secondary dentine which is harder than the regular dentine but not as hard as enamel. 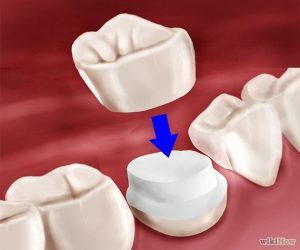 This process can only continue for so long and only repair relatively small holes in the tooth. During the process the biodegradable sponge was absorbed and the dentine formed around it. At the moment the trial has only been completed on mice but if it could be modified to work for humans it could reduce the need to have fillings at the dentist! Other ways to reduce the need for dental fillings. Of course, none of this would be necessary if we didn’t have cavities in the first place! Cavities form when bacteria builds up naturally in our mouth, as the bacteria digests sugar in our diet they excrete acid and it is this acid which attacks the outer surface of our teeth. This is a natural process and your saliva is designed to be alkaline and counteract the acid from the bacteria. This is why chewing sugarfree gum after the meal can redress the acidic balance in your mouth and neutralise the acid from the bacteria. 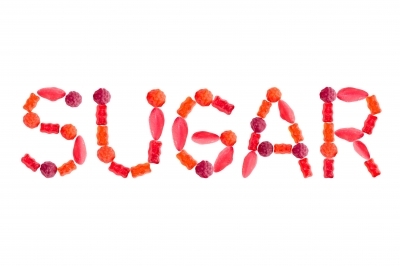 With a diet that is very rich in sugar the natural neutralisation of this acid by the saliva cannot work at such a high level, this means that acid remains in contact with your teeth causing the cavities. Likewise, if the bacteria are not adequately removed by brushing and flossing then again the neutralising effect from the saliva can’t keep up with the acid production. Being aware of one’s diet and keeping sugar to a minimum plus cleaning your teeth twice per day with a fluoride toothpaste and then using interstitial brushes or floss to clean in between your teeth will radically reduce the likelihood of developing tooth decay and cavities. For further advice and information please contact our dental practice in Stourbridge, West Midlands and book an appointment with our dental hygienist who can give you advice and information about looking after your dental health plus a tailored treatment plan should one be required. Not everyone enjoys a trip to the dentist, in fact to be honest most people don’t enjoy any form of dental treatment. 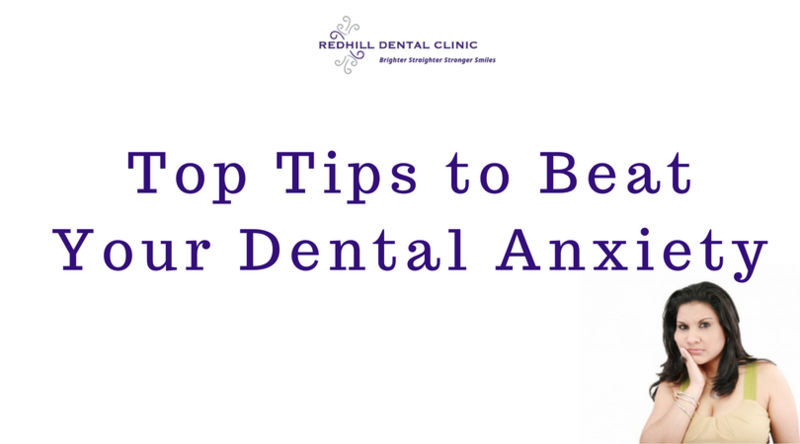 However if that slight anxiety begins to be overwhelming and control you then it can begin to impact your dental health. Dr Phil McDermott writes these blog posts to help you if you feel anxious, scared, nervous or afraid of the dentist. We often find that overcoming dental fear or dental phobia is about realising that you have a choice. Think about it now, you weren’t born with a fear of visiting the dentist, babies are a blank canvass and have no such irrational fears. However, as we get older we have certain experiences that shape our views, perhaps a single bad experience during a dental visit, so think about it now… what experience led you to believe you were afraid of the dentist? When you come to see us we will ask you what was the trigger that taught you this behaviour, this will then help us to help you overcome this irrational fear. The problem is that we have these experiences once and they then shape our thought patterns by teaching us new behaviours i.e. to fear the dentist, this is a key point to understand, your fear is a learnt behaviour – and if it can be learnt, a new way of thinking can also be learnt. We’d like you to write down one thing that would be the worst thing we could do as dentist. Why do we want to know this? Well, the reason is simple, we want to know what NOT to do. People feel very differently about visiting the dentist, sometimes is fear of pain or sound of the drill, we want to know how we can help YOU. As a dentist this is often a simple thing for us to avoid, and therefore represents a really simple and easy way to start to help you overcome your fear or dental phobia. For example, if even walking in through the door is a problem we can overcome this by talking on the phone, then chatting to you in our patient lounge (no dental ‘stuff’ in sight). Once we’ve got this far we can discuss simple next steps in helping you, all working to help you overcome your fear at your own pace. The real key in overcoming your fear is to talk to us and open up communication, most people’s fears are based on outdated ways of doing things that are easily avoided, so armed with your ‘worst thing we could do as a dentist’ list we can make real progress in working out the best strategy for you. Controlling that nagging voice we all have! Do you hear voices in our head? If you are thinking ‘No I don’t have voices’ then THAT’S the voice we are talking about, the one that just said ‘I don’t have any voices’! We all have voices in our head that talk to us telling us things… ‘you’re no good’ ‘ you’re fat’ ‘ you’re scared of the dentist’… now you know the voice we mean, don’t you. A key strategy on overcoming fear and relaxing at the dentist is to learn to control these voices, so try this exercise now… it may seem odd, but try it as it will work brilliantly for you. 1) Say in your mind something mean about yourself. Not anything too mean, but something that is important to you and has meaning for you, something like “You are a failure’, “You’ll never be any good at anything’… you know, the kind of thing we were told as kids and we keep with us as adults. 2) Now take that voice and remove it from your head and imagine it on your shoulder, allow it to keep saying those mean things. 3) Now hold you arm out straight in front of you, put your thumb up vertically, and imagine your voice coming from the tip of your thumb. As you do this now, notice that even though the words are the same, the power of the voice is weaker. 4) Now give that voice on the tip of your thumb a comedic voice, something really funny and stupid. Allow it to say the same mean things, but allow that voice to say them from the tip of your thumb and in a comedic and funny voice. Notice this time how the power is completely gone from that voice. Notice how YOU have controlled that voice to take away it’s power. Now you have realised that YOU are in control of the nagging voice in your head, each time it mentions fear, then place it at the end of your thumb, give it a comedic funny voice and the power of that negative thought has gone. Book an appointment in the morning, this will ensure you can relax for the rest of the day as your appointment will be over. For regular appointments, make sure you have a good breakfast. This will set you up for the day and ensure your energy levels remain high. Lay off the alcohol! Not only does it dehydrate you but it can also make you worry. Bring a friend. Decide before hand on what you are going to talk about, make it subjects that relax you and keep you calm. Perhaps discuss a recent holiday, or where you are going next time. Practice your ‘inner voice’ control techniques. Put the negative voice at the tip of your thumb and give it a comedic funny sound. Agree a stop signal with us, this will ensure that (like your inner voice technique) YOU are in control, a simple thing can be raising your hand, this works really well. Ask to be seen not sitting in the dental chair initially, this can help to control any anxiety. If you feel anxious or stressed about a certain procedure or appointment, you’re not alone. Many patients experience dental anxiety or fear of pain (which is quite understandable), and can sometimes let this anxiety keep them from getting the dental treatment they need. Dr. McDermott and his team want every patient to feel at home here in our office. We will do everything in our power to make you as comfortable as possible during your visit. At Redhill Dental Clinic, we are proud to offer sedation dentistry options to all of our patients before any procedure. Sedation dentistry refers to an optional treatment that patients can have administered before any procedure. This will put you in a relaxed state throughout your entire procedure and make your dental appointment even easier and more stress-free. Patients who choose sedation dentistry are awake enough to answer questions, but experience reduced sensitivity and feel completely at ease. At our practice, we offer oral conscious sedation treatment options. Oral conscious sedation is a type of sedation dentistry that utilizes an easy-to-swallow pill or tablet. When you choose oral conscious sedation, your dentist will give you a pill to take about thirty minutes prior to visiting our office. Once the effects of the sedation have settled, your dentist will begin your procedure. Patients who choose oral conscious sedation will be awake enough to answer questions, but will need to arrange for a ride to and from the dentist office. If you have any questions about sedation dentistry, you can call us at our office. We would be happy to answer any questions or to arrange a consultation with your dentist. With costs seemingly rising here in the UK more patients are tempted to look overseas to replace missing teeth with dental implants, but what is the cost of doing this and what is the true cost of a dental implant here in Stourbridge? To answer this rather intricate question our Stourbridge dentist has written a blog post detailing how the cost of a dental implant is made up and what you could save, or not save, by going abroad. 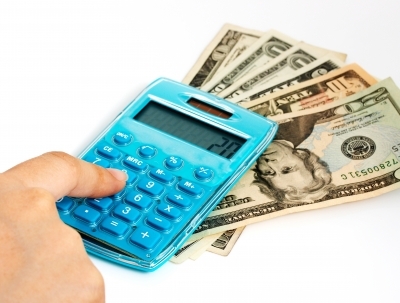 What is involved in the cost of a dental implant? Your dental surgeon’s time to prepare the diagnostics, analysis and preparation work prior to the implant. Training courses for the team to ensure they know exactly how the dental implants work. The dental implant itself, this is a precision made piece of engineering manufactured to tolerances of a fraction of a millimetre. 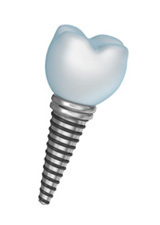 The crown which goes on top of the dental implant made by a highly skilled dental technician. The follow-up and after-care provided by the dentist to ensure that the dental implant integrates into the bone and heals properly. Continuing care to ensure your implant lasts as long as possible, preferably a lifetime! Every single dental implant restoration is made to order, exclusively for you and will not fit anybody else. You will also be wearing the dental implant 24 hours a day and even using it whilst you sleep as many people grind their teeth at night. This means it is worth spending money on a quality treatment to ensure your dental implant lasts a lifetime. This is a difficult question to answer, it depends on how many you need and exactly what your own situation is, however, a typical dental implant works out normally from £2000. Going abroad for dental implants. Many patients consider the possibility of travelling abroad to have their implants. Let’s look at this in more detail and ask some more questions about this rather intricate subject. “You may not get all the information or reassurance you would normally get from your dentist at home” – Damien Walmsley, professor of restorative dentistry at the University of Birmingham. Here is a list of questions that the General Dental Council recommend you consider before going abroad. 1. Who will be carrying out my treatment and what qualifications do they have? One of the most important aspects with any type of invasive dental treatment is the amount of trust you have in your surgeon. Not only must they be a nice person and you should like them but you need to be sure they have adequate qualifications. Here in the UK the General Dental Council have a specialist register for dentists that have undergone a Masters level degree and joined the specialist register for periodontics which will qualify them to place dental implants. For this reason in our opinion the best person who should place your implant is a periodontist (gum specialist) with experience. Before having dental implants in the UK we recommend that you check the register to find a local dentist, preferably working with a periodontist… If you’re going abroad do they offer the same high level of trust and assurance? Periodontists do gum surgery and understand gums very well. They will get the best gum contour around your implant and this will get you the best aesthetics result so that the gum around your implant looks good and as a result make your implant look very natural. 2. Do you have any references or testimonials from previous patients? This is something we recommend you ask for no matter which treatment you are having, but because of the complex nature of dental implants this is even more important. A long list of patient testimonials shows that your dentist is trustworthy and has a happy list of people willing to recommend them..
3. Are you regulated by professional body and do you have to be registered with them? Here in the UK it is compulsory for every dentist to register with the GDC. We also have to register with the Care Quality Commission (CQC), this ensures your standard of care meets defined standards, especially with cross infection control and your ability to feedback to the dentist any concerns. If you’re travelling overseas to have dental implants does your dentist have to register with a professional body? Who is going to hold them accountable for the treatment? And most importantly, if they are registered with a professional body is that registration compulsory? 4. What happens if I am unhappy with the results? Who pays for the extra flights, hotels and remedial work? Unfortunately, whilst there is a very exacting science to dental implants, there is also a great deal of art. This is particularly applicable with the dental crown which will fit on top of the implant, this is the part of the procedure which you will see every single day, so you need to ensure that it totally matches your surrounding teeth and fulfils the cosmetic requirements exactly. This is a very skilful and highly creative part of the process which, unfortunately, does not always go right first time. If this happens to you, how will you be able to travel back to the dental practice to have the crown matched to your surrounding teeth? Sometimes a few appointments are required in order to get an exact match, if your dentist is overseas or a long way away then this can become rather problematic. This is why patients like to use us, we are based in Stourbridge and have good transport links to the whole West Midlands area. 5. Do you have complaints system in place? And can I see a copy of it? Part of compliance with the CQC, which is compulsory in the UK, is to have a robust complaints procedure. This ensures that you have the means to complain to your dentist if things don’t go right, they then have an obligation to follow-up this complaint. The CQC audit these complaints in the UK and ensure that the procedures are strictly adhered to. If you travel abroad for your dental implants will you get the same level of compliance? Who is going to monitor any complaints? Who will ensure that any complaints are followed up? Here is our full audit with the CQC. We hope this report has been useful in allowing you to decide on the cost of dental implants and so you can see that the cost of staying in the UK, when everything is considered, is often the best option..